At a time when NASCAR is looking for new team owners, that’s exactly what Jerry Hattaway of JP Motorsports did in 2018. His goal was to make an impression on the sport, compete for a championship and earn the respect of his peers in the industry. One year later, those goals and perhaps the survival of the team are in question. Crew members and vendors are claiming missed payments and a physical altercation with a crew member remains a sore spot. Dependable sponsorship and employees have proved elusive. It’s yet another example of the challenges of becoming a NASCAR owner from scratch. After being a longtime fan of the sport, Hattaway and his wife, Phyllis, started a NASCAR Xfinity Series team. The original goal was to give younger drivers an opportunity in NASCAR — the likes of Josh Bilicki, Brandon Hightower and Bayley Currey, among others. 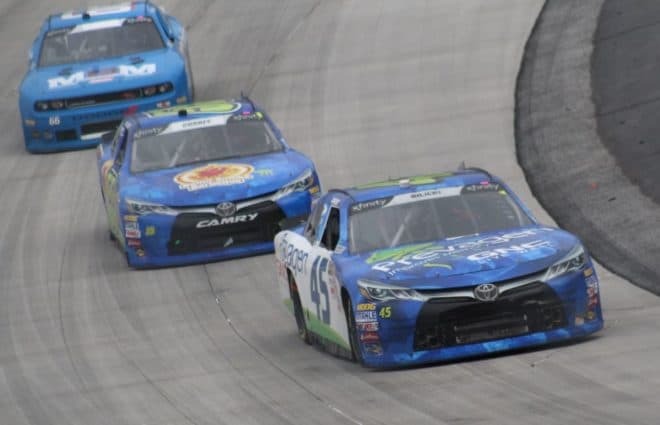 The long-term goal: To be a mainstay and compete with the elite Xfinity Series teams, possibly jumping up to the Monster Energy NASCAR Cup Series one day. 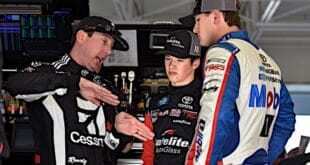 Hattaway mentioned those future plans in an interview with Frontstretch in September at Indianapolis Motor Speedway. But some of the smaller things have been challenging for JPM. Outside of posting just a trio of top-20 finishes during the 33-race schedule, there were other internal problems within the team. Hattaway and then-employee Mike Hayden had a physical altercation at Dover International Speedway in early May. That resulted in Hayden being removed from the track and getting suspended by NASCAR for over a month. Meanwhile, other team members reportedly felt threatened by Hattaway while others reportedly claim they didn’t get paid. Regardless, it’s expected that the team will be fielding a car for the 2019 season opener at Daytona International Speedway on Feb. 16. Rewind to a year ago. Hattaway, a new owner, needed to buy the correct parts and pieces for his team to do well, and he didn’t have a problem paying it right off the bat. But as the 2018 season progressed, Hattaway began having trouble paying for some of that equipment, including engines. Sources have told Frontstretch he owes one of the team’s main engine suppliers north of $100,000. That engine supplier provides motors to some of the smaller race teams in NASCAR and has done so for decades. Hattaway also purchased three racecars from TriStar Motorsports, which fielded an Xfinity team for eight years (2010 to 2017). Bryan Smith, owner of TriStar, leased Hattaway the team’s hauler for 2018. However, sources mentioned there were payment issues between the two. Smith took over Pro Motor Engines after his father Mark Smith passed away in July 2017. PME is another company that fielded engines for JPM. According to Good, Hattaway keeps saying he’s going to pay PME for its services, but JPM apparently has yet to do so. Then there are the smaller pieces that add up to make a racecar go around the track — brake components, brake pads, brake brackets, suspension slugs, wheel spacers, etc. Through the opening few months of the 2018 campaign, JPM went through Malone Racing Service for those parts. That came to a halt in April. JP Malone, owner of Malone Racing Service, has a customer base of over 1,000 teams throughout the world. Currently, Hattaway owes Malone $3,053, though Malone doesn’t believe he will receive the money, noting he’s on the lower end of people to whom the team owes money. Malone received his first NASCAR crew license 31 years ago and has gone through the court system to get money owed to him in the past from other teams. He says he isn’t afraid to do it again. Malone says he believes JPM actually got worse throughout the 2018 season. That’s because JPM was bringing equipment to the track with a lot of wear and tear from constantly using the same pieces. Sprint car driver Hightower joined JPM for seven races last season, beginning at Charlotte Motor Speedway on May 26. He ran through Kentucky Speedway (mid-July) with the team. Rather abruptly, he was replaced by a quartet of drivers to drive the No. 55 car in the second half of the season, and there was reportedly a lawsuit filed on behalf of the Hightower camp toward JPM. Just know some good changes are coming to BHR😛. Recently, that lawsuit was dropped, but Hightower knew JPM was pinned against the wall during the 2018 season. “They were learning,” Hightower says. “That’s something that people have to go through. They go through hard times, and that’s something everybody needs to understand because everybody has been through hard times in your life. In order to compete for JPM, Hightower needed to bring sponsorship to the table. And after seven races, he was sick of paying to drive and would rather race sprint cars. Hightower admits that there was a misunderstanding between he and Hattaway as to why the lawsuit was filed. But since then, both parties have moved on. But the issues for JPM went beyond issues of payment. It’s rare for any business to be successful when the leader of that company is said to be violent. That was, some claim, the case with Hattaway. 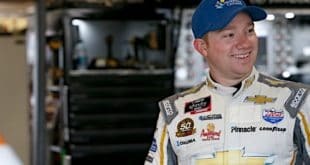 Hattaway got into an argument with former team member Hayden at Dover on May 3, 2018. 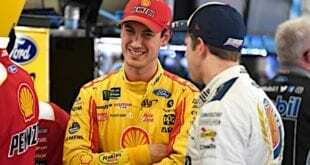 The argument escalated when Hayden quit his job on the spot; soon after, he went to NASCAR’s Gander Outdoors Truck Series garage because he was scheduled to be a pit crew member for all three of the top national touring races that weekend. Hattaway followed him to the garage, where he was “knocked out” by Hayden, who was then arrested. But Hayden’s frustration stemmed prior to the Dover incident, some of which was over not being paid. “Like a bunch of other guys, it was pretty terrible,” Hayden says of his time at JPM. “We were always scrambling for parts, never having anything on time, being extremely undermanned, not paid well. A lot of guys there – by the time I got there – there had already been about 20 guys that had been in and out of the door there, and it was only a quarter of the way through the season. We had guys quitting left and right, and it wasn’t a good overall experience. It was chaos, absolute chaos. 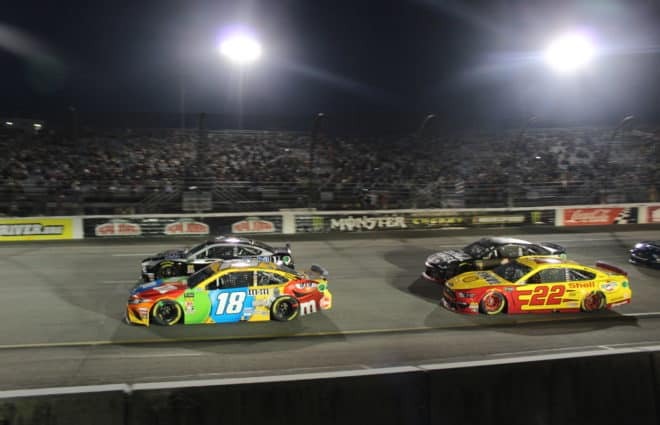 As a result of being arrested in Dover, the National Motorsports Appeals Panel announced on May 23 it amended a penalty assessed on May 9 to Hayden. After hearing Hayden’s testimony, the appeals panel rescinded the indefinite suspension. Hayden had to pay a $1,000 fine and enroll in NASCAR’s reinstatement program, which costs $2,500 per session to speak with a sports and behavioral counselor. He had four total sessions to move forward in the program. Since the incident, Hayden mentions he’s been back and forth from Delaware roughly 10 times to meet with his lawyer. At time of print, the case is reportedly close to being dropped. However, Hattaway is quick to say that he never physically harmed a team member, though he wouldn’t discuss the Dover incident. However, Hattaway does want the culture of JPM to shift in a more positive direction, starting from the top down. “We’re going to be careful of who we do business with,” Hattaway says. “When I first came into this thing, it’s a whole different ballgame than from where I come from. With that said, I’ve got to pick the people that come here very carefully. What I’m going to do this year is concentrate on JP Motorsports moving forward. I hired Tim Silva [former crew chief], and I’m going to step back and let him run it. “I think patience is the biggest thing for me to step back a little bit and let the guys do – I ran ragged last year, honestly. The help that we had and maybe the inexperience that was there, and they were running to meet all ends. … With racing, I obviously can’t have my hands in on everything. I want to, but I have to rely on the people that I hire. I tried to do that last year, but unfortunately some of the help I got probably wasn’t the best, but it was the best that we could get. But according to Hayden, he wasn’t the first crew member with whom Hattaway had issues. “There were numerous of people – before I even got there – that he got in fights with,” Hayden says. 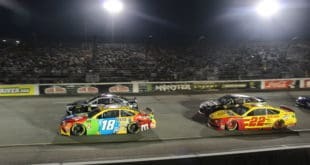 “It was ridiculous because he had three or four assault charges already pending before the situation at Dover happened. It was really awkward because I would never expect an owner of a race team to resort to violence when it came to his employees. “I played professional football (NFL: Los Angeles Chargers, Kansas City Chiefs; Arena: Bloomington Edge, Chicago Rush and Chicago Knights) — and even in college (Shasta College, two-year community college), no owner would ever resort to violence with any employee no matter how bad they got. They would just get rid of them, fire them, cut them, things like that. They never sorted it with violence by picking up a wrench or a pocketknife and things like that. Frontstretch reached out to another former JPM team member that was reportedly threatened, but they declined to comment on the matter. Hayden has been in the NASCAR realm for the past eight years, starting with Evernham Motorsports. 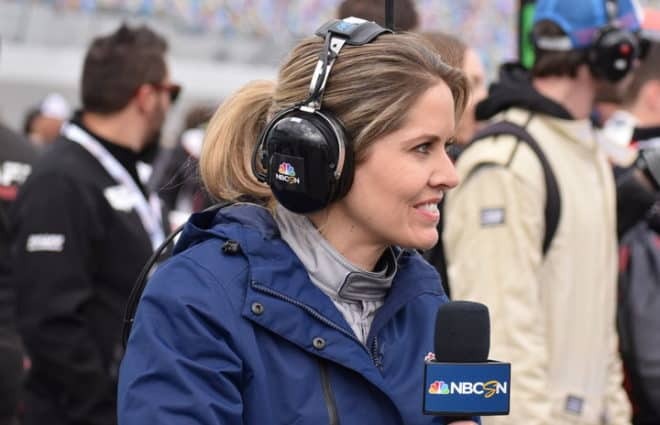 Before moving to JPM in the spring of 2018, he was working with Jennifer Jo Cobb Racing. Currently, he’s more of an independent contractor. Teams call him, while his pit coach assembles crew members to specific teams, most of which are from backmarker outfits to begin with. However, he says incidents like the one with JPM don’t happen on bigger race teams. 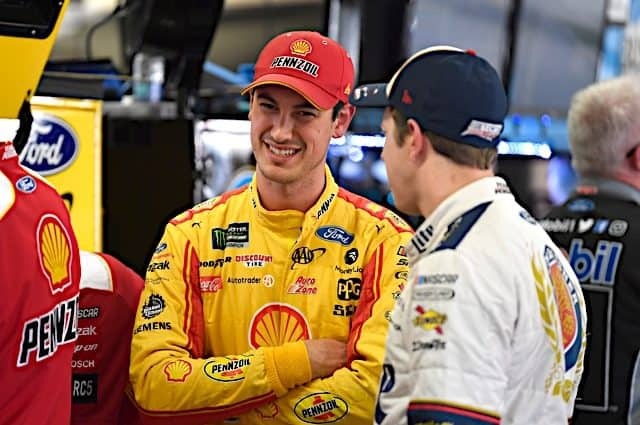 “I never had experiences like this when I was with bigger teams because everything was very structured, and you had your crew chief, car chief, shop manager, and it was very structured,” he says. “We didn’t know if the doors were going to be locked, if the lights were going to be on because the bill didn’t get paid. We had no clue. Sources reached out to Frontstretch during the first week of the offseason saying the locks had been switched on the doors to the Mooresville, N.C., shop. It was also noted that some of the crew members toolboxes were left there. When Hayden first moved over the team, he was hesitant to bring his tools over. He says he’s glad he didn’t. 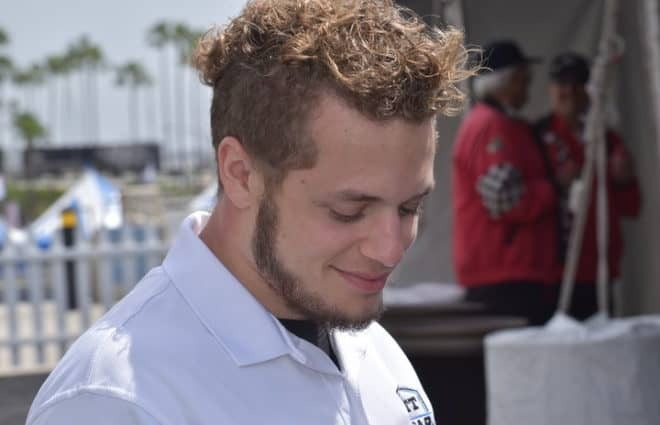 But with Daytona less than two weeks away, JP Motorsports is slated to be at the track, attempting to qualify for the NASCAR Racing Experience 300. This time around, the team is heading into the season with goals, something that it moved away from in its rookie season, just trying to survive. The team is expected to announce a driver later this week. A lot of these statements are true. I know for a fact. I worked for Jerry and Phillis. I quit after Phoenix and never received my last paycheck. I have also not received my 1099 form to do my taxes. So either I was being payed under the table illegally or something else. I filled out proper forms with all information to file taxes legally. I was also involved in an accident in Texas and Jerry never gave me the insurance information and then proceeded to not tell the rental company there car was rear ended. If you didnt get PAID, you didnt get income.. Dont have to pay taxes on that MONEY… Jerry had 5 to 7 GOOD men and women work for him thru 1st part of the year. and when they didnt get paid or threatened they rolled there tool boxes out the door and QUIT. Victory Obika, the 97 cup and XNS owner is a doing the same thing for last 3 years in NASCAR and NASCAR just looks the other way.. Because they need car count or because he is playing the Deversity game with nascar and being from Nigeria.